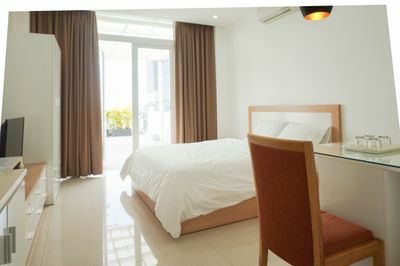 Near Ben Thanh Market in District 1, Quynh Anh Serviced Apartment is perfectly located just steps from Vietnamese food streets, bars and restaurants in Bui Vien, unique venues for expats near Bui Vien, shopping mall, convenient stores, entertainment venues especially within 1 kilometers from Saigon River and Saigon River Tunnel. 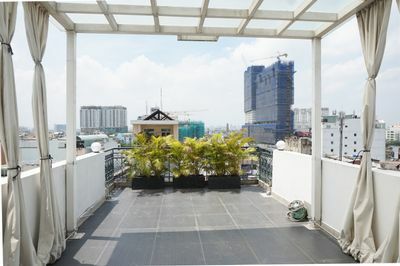 This serviced apartment includes fully furniture apartments with other essentials, elevator, fire extinguishers, receptionists, free-parking, safeguards especially a beautiful view of Saigon. 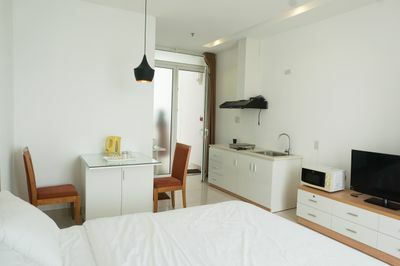 To be more detail, every fancy apartment is equipped with fully furniture including bed, table, chairs, wooden cabinets, refrigerator, washing machine, microwave, geyser, TV. 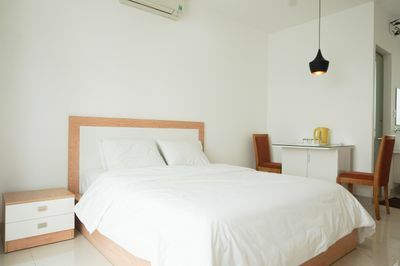 The rental price includes water, wifi, cable, laundry and cleaning fee (2 times/week), parking (for 1 motorbike only). The electricity fee is 3500/kWh. 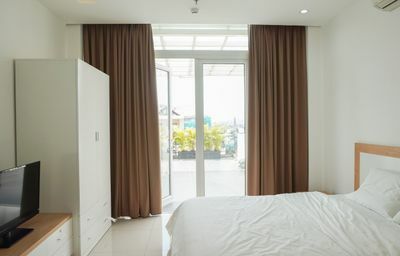 This serviced apartment is filled with superior finishes and high-end fixtures, ideal for enhancing your ơn personal style. Coming home to the clever design, comfortable features, and modern convenience you've been looking for all along. 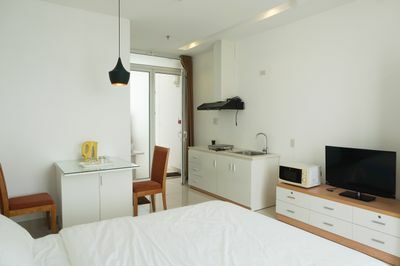 This modern and fully furniture studio includes refrigerator, washing machine, microwave, geyser, TV. 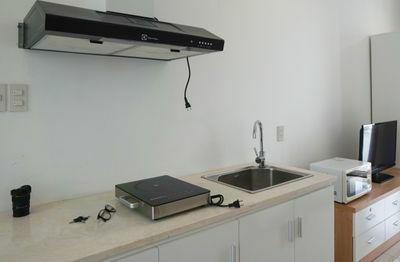 The rental price includes water, wifi, cable, laundry and cleaning fee (2 times/week) and parking (free parking for one motorbike). 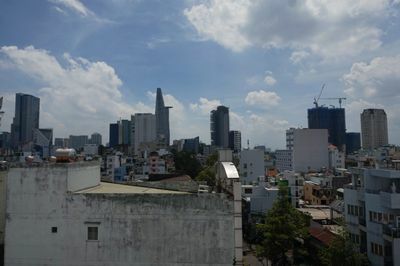 Moreover, with a large terrace with a beautiful of Saigon, it's time having family-friendly dinner. 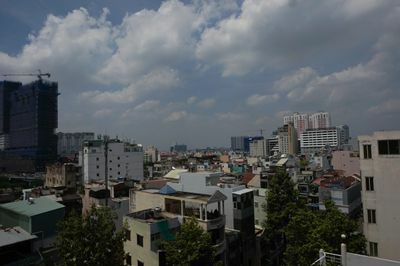 Moreover, located near Ben Thanh Market, it could take you just a few minutes to Vietnamese food street, unique venues for expats in Bui Vien, shopping mall especially Saigon River. 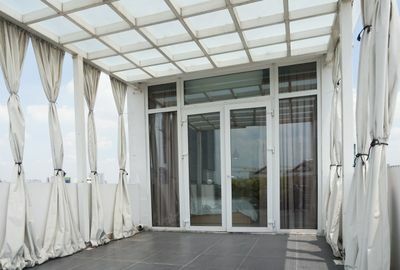 Modern Penthouse Apartment with HUGE Balcony! !